In the latest proposal in a flurry of merger and acquisition activity in the pharma sector, Valeant Pharmaceuticals International wants to take over Allergan. Valeant is offering $45.7 billion in cash and shares for the Botox manufacturer, giving Allergan investors $48.30 in cash and $0.83 of a Valeant stock for each share, and overall a 43% stake in the new venture. Backing Valeant is Pershing Square Capital Management, which is run by William Ackman, who is also the largest shareholder in Allergan. Valeant says it broke cover because “Allergan has not been receptive to our overtures for over 18 months and has made it clear both privately and publicly that it is not interested in a deal with us”. 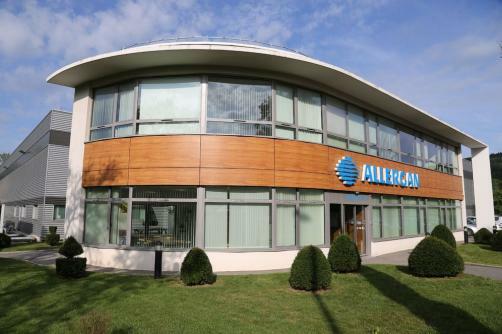 Allergan would only say that it has received ‘an unsolicited proposal’ from Valeant and will do what it thinks is in the best interests of its own shareholders. “This proposal represents an undeniable opportunity to create extraordinary value for both Allergan and Valeant shareholders by establishing an unrivalled platform with leading positions in ophthalmology, dermatology, aesthetics, dental and the emerging markets,” he says. “Together, we can capitalise on the inherent strengths and complementary portfolios of our two companies, while achieving significant synergies by applying Valeant’s unique operating model to a combined set of assets,” Pearson adds. In effect making its appeal directly to shareholders, Valeant believes combining the businesses will save at least $2.7 billion, 80% of which would be realised within the first six months of closing the transaction, with the balance over the following 12 months. The new company would get around 75% of its revenue from what Valeant calls ‘durable’ products, while 90% of its sales are “not expected to face any significant patent cliffs over the next decade”. Ackman said the proposal was the most “strategic and value-creating transaction I have ever analysed” and urged Allergan’s board to enter negotiations. Valeant’s offer comes as GlaxoSmithKline and Novartis sign their own multi-billion deal and media reports suggest AstraZeneca has refused a $60 billion bid from Pfizer. Less than a year ago, Valeant announced it was to buy Bausch + Lomb in an $8.7 billion deal which saw the eye care giant retain its famous name.